Celebrate Black History Month in the Ekstrom Library Learning Commons on Feb. 11! 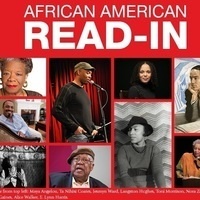 Faculty, staff, students, and community participants are invited to read aloud from books by their favorite African American authors. Readers will receive free books, and attendees will be eligible to win free books. Contact Joan D’Antoni at joan.dantoni@louisville.edu to become a reader.